Genni focuses her practice on banking and finance matters. She works with national and local clients on a variety of secured and unsecured commercial financing transactions, including single lender and syndicated commercial loans, asset-based financings, letter of credit facilities, and construction loans. Genni assists lenders and borrowers with negotiating and documenting loans and credit facilities with collateral consisting of personal property and real property. She has experience preparing loan documents, amendments, corporate certificates and resolutions, and enforceability opinions, as well as working with Article 9 of the Uniform Commercial Code. 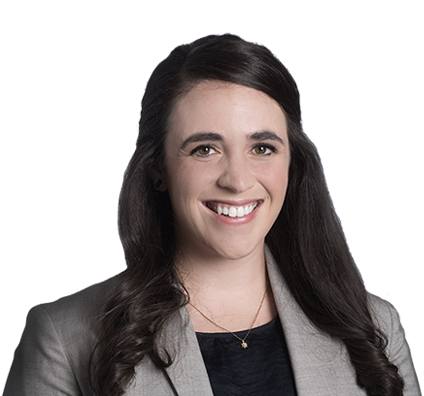 Genni joined Husch Blackwell in 2016 after serving as a summer associate in 2014. Before joining the firm, Genni was a law clerk for The Honorable Daniel D. Crabtree, U.S. District Court for the District of Kansas. In law school, she interned for The Honorable Carlos Murguia, U.S. District Court for the District of Kansas. Prior to attending law school, Genni gained experience in financial transactions through audit and tax internships at accounting firms, which gives her insight into understanding clients’ business needs.